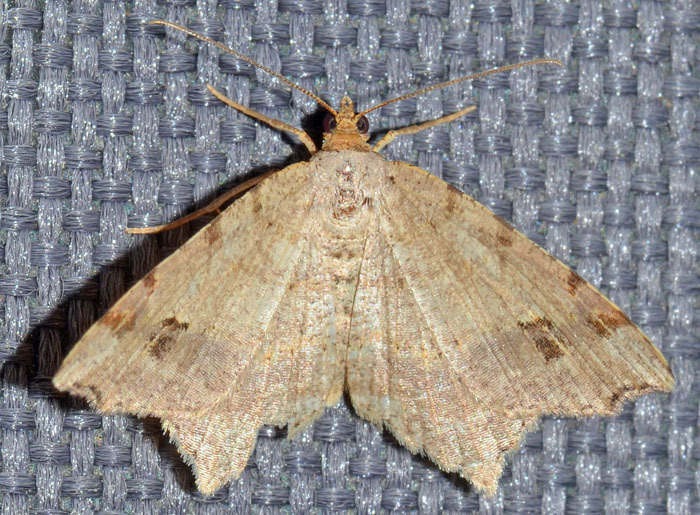 This pale brown moth has a wingspan of about one inch. It's larvae feed almost exclusively on pine, so they should be quite happy in our neighborhood. The four dark, brownish spots along the front edge of the forewing (this edge is called costa) are characteristic. 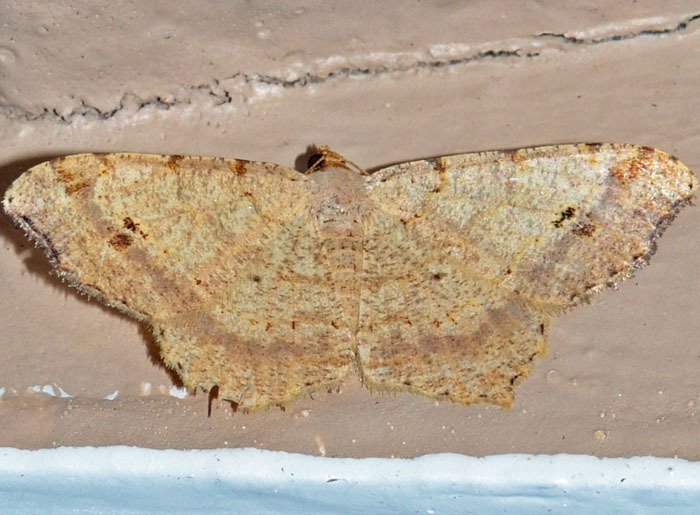 This moth is possibly M. aequiferaria also known as Woody Angle. The many species in the Macaria genus are all brownish or gray. The larvae are typically associated with the leaves of coniferous trees. In Greek mythology, Macaria is the daughter of Hercules.